Currently a Film and Media Preservation Student, masquerading under the heading of English, I am by no means a Blake Scholar. So after I started working for the archive last fall I was always pleasantly surprised when I encountered a reference to Blake in my everyday life. 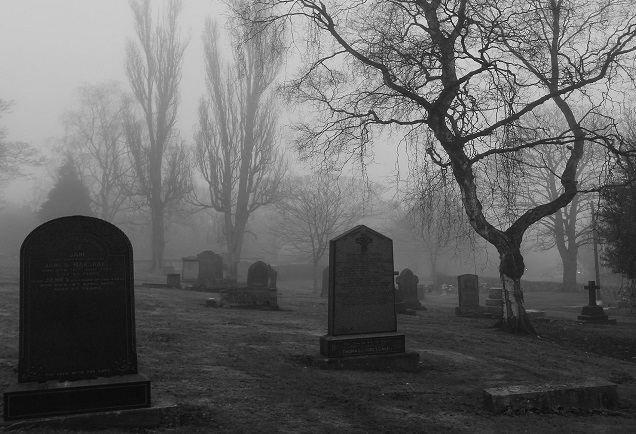 It was like running into a new acquaintance when and where you least expect to. First I saw him referenced in a painting of book spines at MoMA. Then some friends I visited had a beautiful reproduction of one of his illuminated works hanging in their bedroom. Most recently I spotted Blake while watching an episode of USA’s White Collar. The show, which features reformed art thief and talented forger Neal Caffrey, also featured a fake Blake! 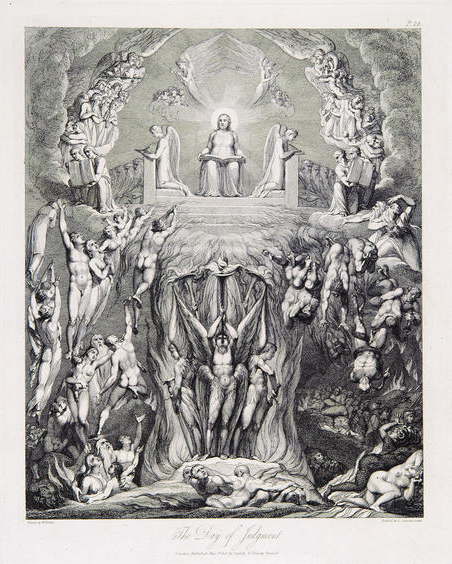 The specific episode from season five entitled “Live Feed” featured a forged copy of William Blake’s “Last Judgement.” Intrigued by the idea of someone creating a forgery based on the work of William Blake I took to the internet to see what I could find on the subject. 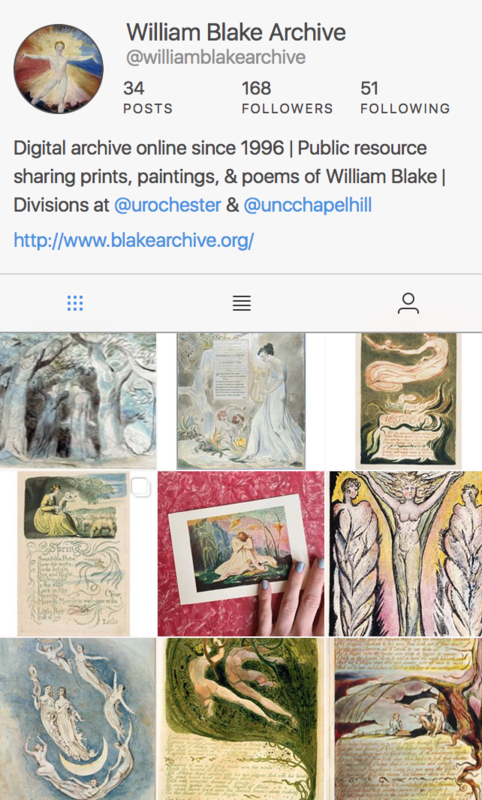 The first thing I found was a brilliant essay by Joseph Viscomi detailing the Blake forgeries he has uncovered during his research and work with the materials of William Blake. The other interesting story I came across was one of an unintentional fake Blake. In the 1980’s US poet Nancy Willard wrote a poem called “Two Sunflowers Move into a Yellow Room.” It was included in an anthology of her work that she dedicated to William Blake called A Visit to William Blake’s Inn. Soon this poem that was written as an homage to Blake somehow began to circulate around the Internet as one that was actually penned by Blake himself. This minor oversight was soon infiltrating official school reading lists, being taught in the classroom. It’s like Viscomi says in the aforementioned article, “An unacknowledged facsimile is a forgery, and, as noted, an undetected forgery is perceived and experienced as an original.” Even though Willard never intended to pass off her work as Blake’s, that is how many came to understand it. That is, until Mr. Pitchford, a teacher at the Hitchin School for Boys took to his blog in 2013 to set the record straight. 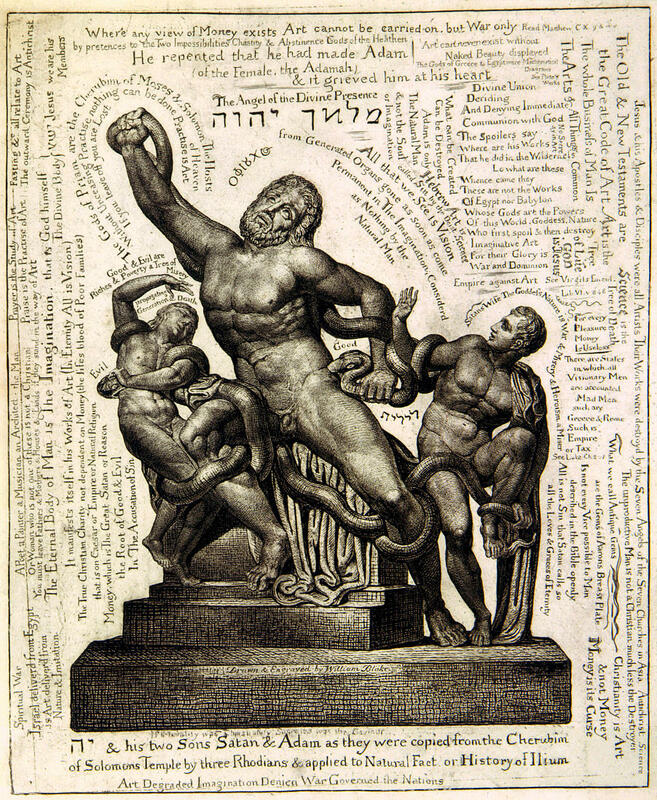 He followed the misattribution all the way back to 2001 when some high school students posted the poem to a website, giving authorial credit to William Blake. Others soon began to link to this site and so the misunderstanding spread. So might I suggest that the next time you cross paths with Blake you not only consider giving him a friendly nod, but the proper background check of a thoroughly researched source. 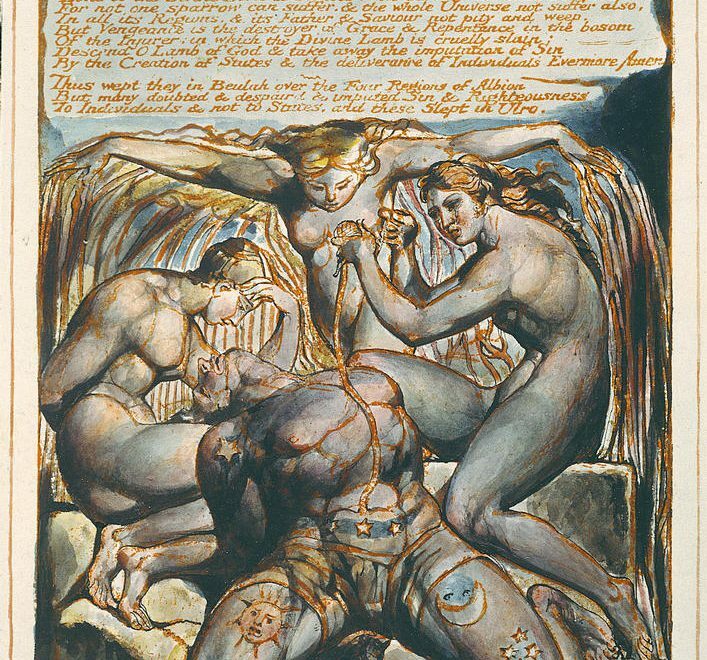 However, whether you encounter Blake through an artistic homage, a well executed forgery, an unintended fake or the real thing; it is nice to know that William Blake is still active in today’s culture.